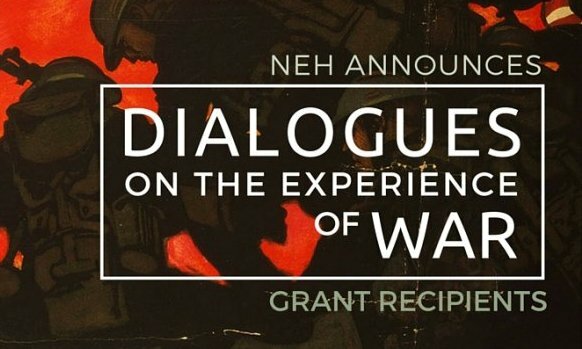 As part of an initiative by the National Endowment for the Humanities to promote understanding of the military experience and support returning veterans, Hunter College has received a major grant that will fund public events and classroom opportunities for veterans, other students, and non-student members of the community. Participants will explore classic works of literature, history, and philosophy to illuminate moral transformation, injury, and repair resulting from the experience of war. As part of the grant, a group of internationally acclaimed researchers, writers, and public intellectuals will visit Hunter to engage the public in wider discussion and provide capstone experiences for students. Download an overview of the project, including the intellectual rationale. During the second phase of the project, participants from phase 1 will lead discussion groups—either free-standing or embedded in appropriate courses—based on the materials discussed in the first phase. Discussions will be coordinated with public events at which authors Shay, Sherman, Klay, Prinz, and Litz will speak and meet with participants. •Advanced students (graduating seniors and graduate students). Veterans and active-duty service members & their family members especially welcomed. All participants receive course materials, and may be eligible for academic credit (students), course release (faculty), or stipends (staff). Download a longer description of the project here. To contact one of the PIs directly, please use email. Submit a letter of interest here.